Situated in the North-West Highlands, with clean air and abundant rain, Assynt is home to at least 500 kinds of lichens, probably many more. 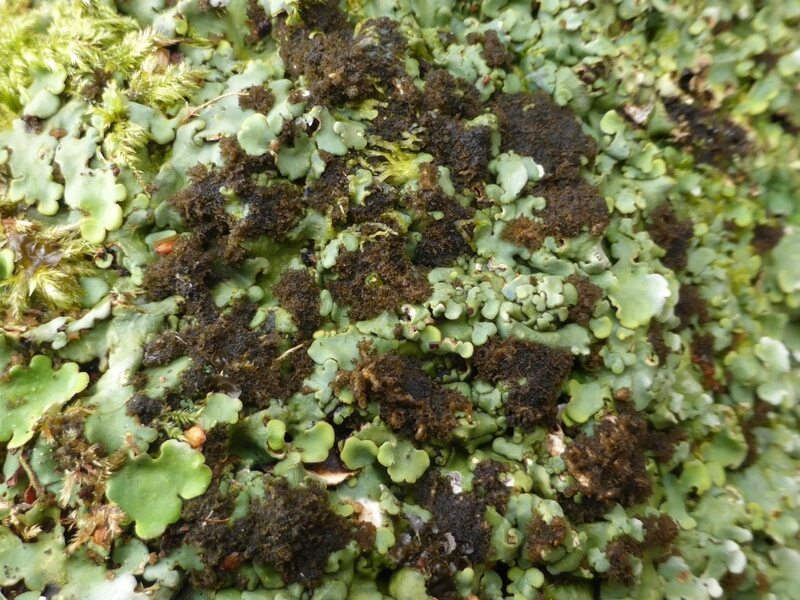 They include many species of leafy, or foliose, lichens, and pre-eminent amongst them, if only because of their size, are four species of lungworts. They are found mainly on the branches and trunks of trees, but also on rocks and walls. Hazel is a favourite substrate and these lichens, amongst others, will be a focus of attention in the Atlantic Hazelwood Project that is currently under way in Assynt and Coigach. We recently visited a local wood in which all four species occur on hazel and our attention was drawn to the differences between them (although their colours differ according to whether they are wet or dry). Commonest and most luxuriant is tree lungwort Lobaria pulmonaria. The English and scientific names derive from a fancied resemblance of the light-coloured underside of the often tattered, greeny-brown lobes to lungs (presumably of domesticated animals). They are loosely attached, with a distinctive network of ridges and orange-brown fruiting bodies or apothecia. This is in fact the largest British lichen, and something of a thug, well capable of overgrowing other species. Similar in colour, but with closely-adhering smooth or finely-wrinkled lobes, is the green satin lichen Lobaria virens. The mature parts of its fronds bear numerous apothecia arising from volcano-like warts. It is less common than tree lungwort and is not often found far from the coast. A third species, Lobaria scrobiculata, occurs amongst tree lungwort, or on its own, but may be readily distinguished from it by the yellowish-grey or blue-grey colour of its, again, loosely-attached, lobes. 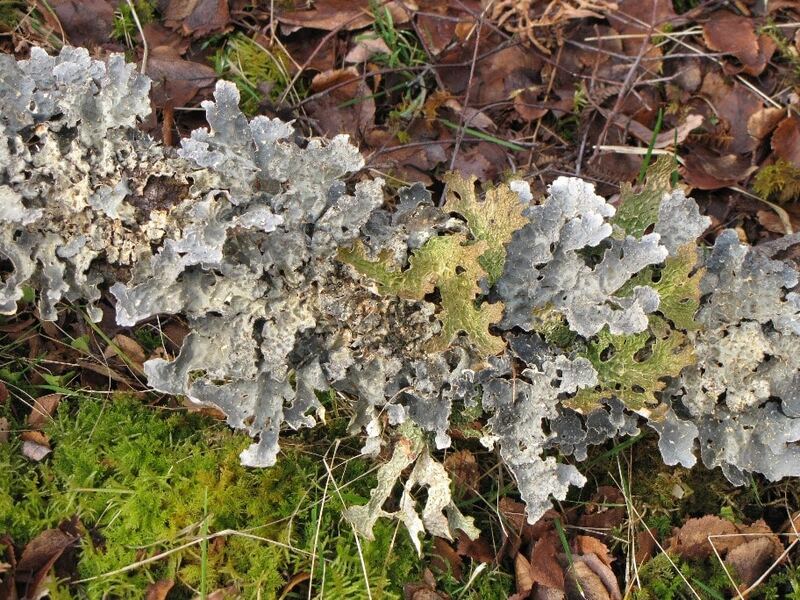 It has no English name, but is familiarly referred to by lichen enthusiasts as ‘Lob scrob’. It fruits rarely, but the ridges and margins of the lobes bear the vegetative reproductive bodies known as soredia (as do those of tree lungwort). 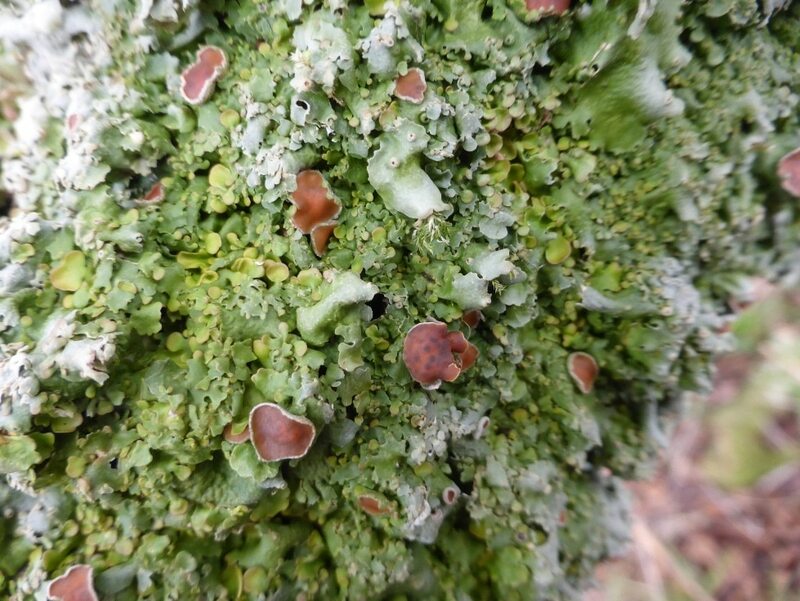 Rarest of the four, but sometimes locally present in quantity (as on sycamore trees at the western end of the football field in Lochinver and on rocks in the adjacent Culag Woods) is the parchment lichen Lobaria amplissima. The fronds are, again, closely-adhering, whitish or pale greeny-grey in colour, and usually ornamented with conspicuous dark brown coralloid outgrowths. These outgrowths, or cephalodia, are the cyanobacterial partner in the lichen going it alone, and may help to fix atmospheric nitrogen. These giants amongst lichens occur throughout the Assynt woodlands and if you look hard you may find all four.